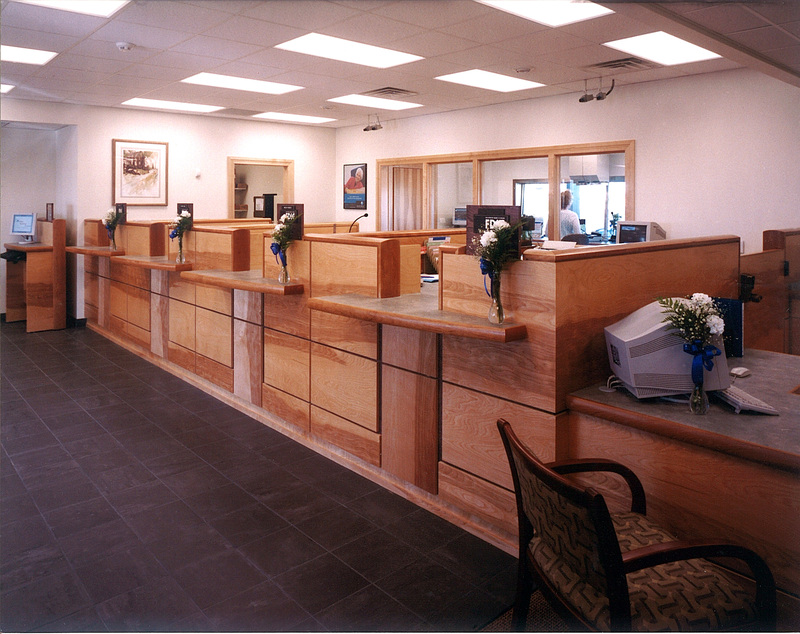 Branch offices of the bank needed to be contained in size and budget while still providing for an exceptionally easy, rewarding, and confident customer experience with the privacy required for financial interactions. 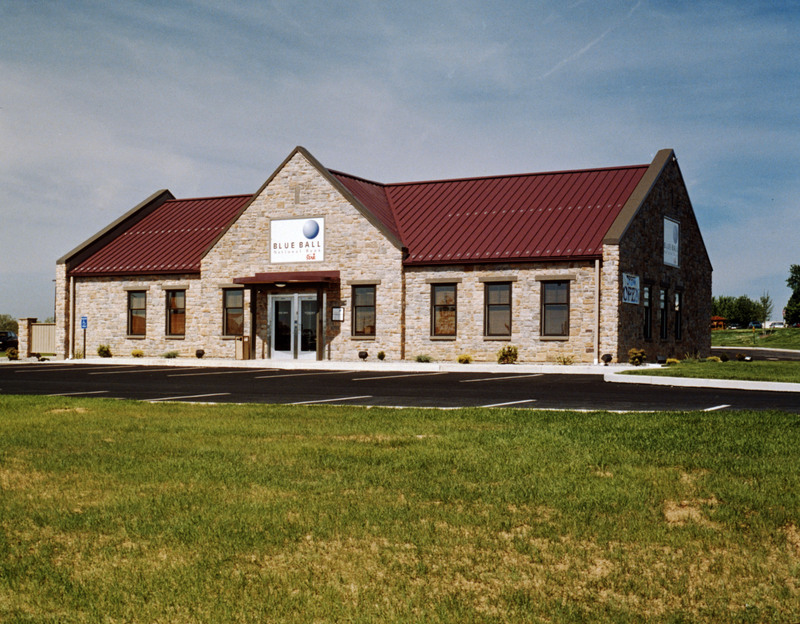 As we worked on the prototype for the branch buildings we developed ways to accommodate the size and budget while still maintaining the design elements from corporate centers such as brick facades, interesting rooflines, and clearly defined entrances. 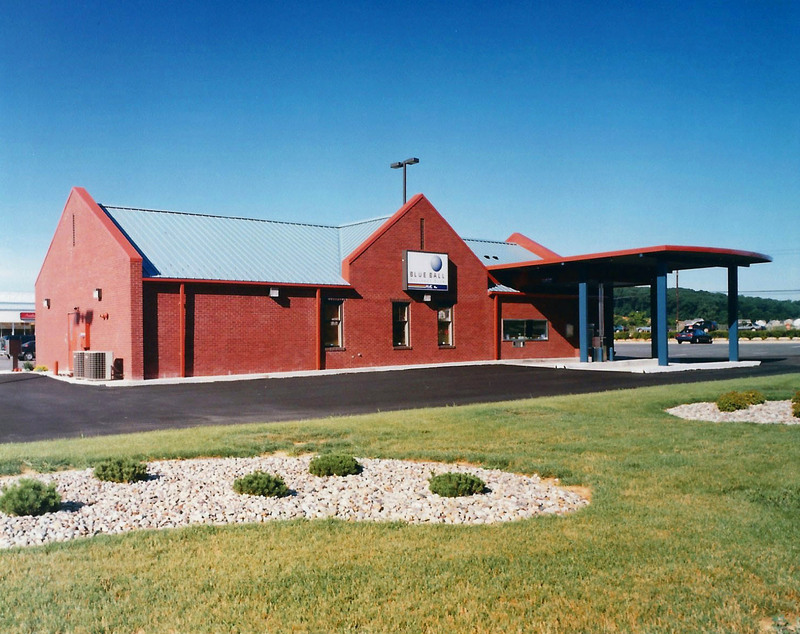 This branch, located on busy Roherstown Road in Lancaster, shows the rear view with the drive up ATM and teller transaction access. Multiple windows give staff inside a view of activity in the drive-through area. The thin flat roof of the drive-through area extends from the main building to further identify this separate functionality. 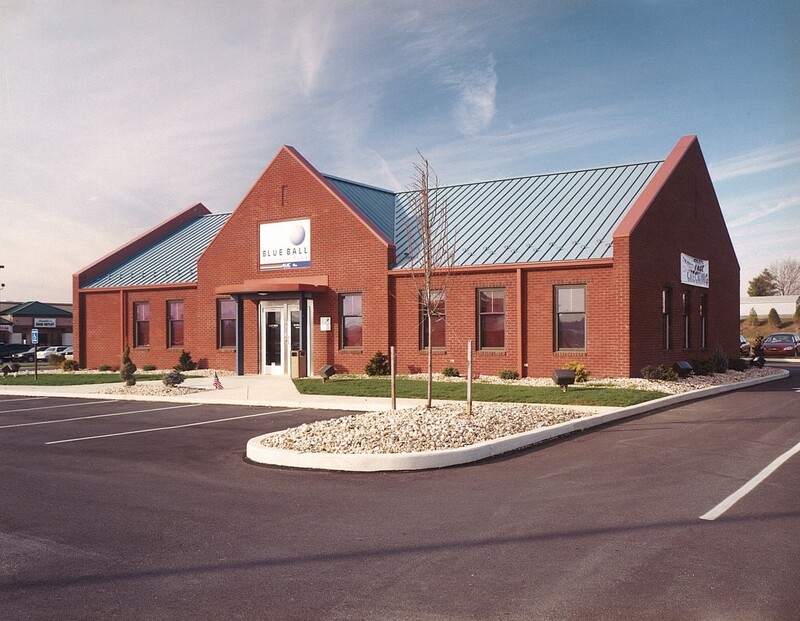 At the Parkesburg branch in Chester County, the same roof design is repeated, but this time in warm red instead of cool blue. The façade was changed to use stone instead of brick, and bank signage is actually built into the stone façade on all sides. 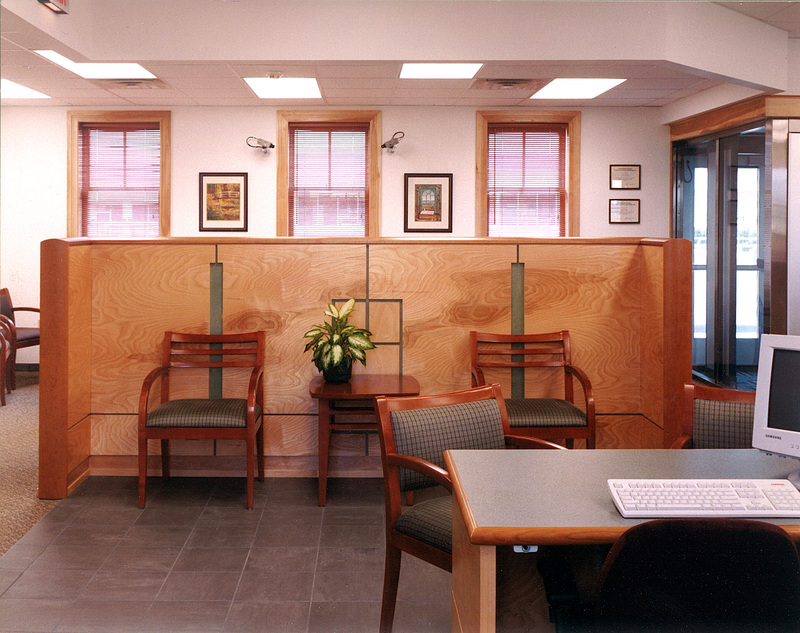 Interior design at this branch mirrors the look of the third floor reception area at the corporate headquarters. A combination of cherry wood for rich warm hues and burled maple wood for softer tones combines with rich tile flooring to create a welcoming atmosphere for customers. Teller windows are easily accessible. Manager offices have interior glass windows that permit them to stay engaged with what is happening throughout the building. The curved countertop at teller windows extend beyond the window opening, giving customers a place to put items during a transaction. The thick rounded fronts of the caps create a visual horizontal line that adds depth to the scope and feel of the teller area. The lower desk is available for anyone needing wheelchair access. The interior wall provides a screen for privacy while allowing a line of sight for bank staff conducting private meetings with customers. 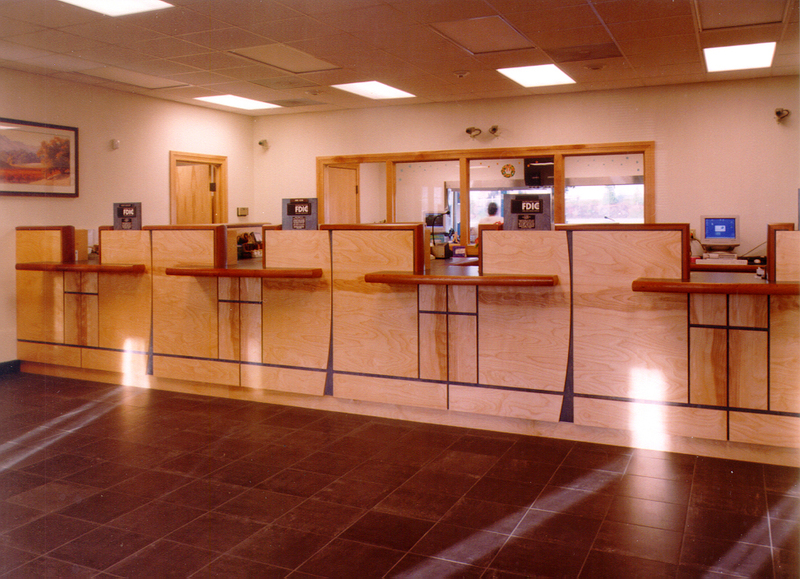 This keeps an open and friendly atmosphere within the branch while also providing for enhanced security, giving all staff visual connections at all times.